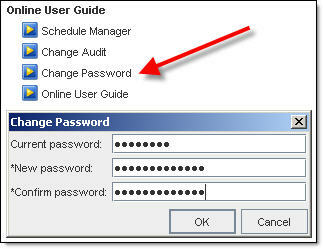 The password for the 'jmx-user' account was successfully updated. Generate a Private Key and Certificate Signing Request (CSR). NB that y default certificates are tied to the exact server name they are created for. Which is normally the FQDN of the server. If you create a certificate for the server uim001.vstrong.info and then connect by the short name uim001 / UIM001 or by any other DNS aliases, the certificate will not be seen as a trusted certificate. There is a way to get all aliases included in the certificate. Please refer to “HOW TO: Create server certificate and include DNS alias“. If you are going this route, please ignore this step. this utility in the "install" mode. You will be prompted for a password to protect the private key and certificate. Install UCS Manager certificateUPDATE: If you installing EMC Ionix UIM/P 3.2 and later, please skip steps 8.1 to 8.3, these steps for UIM/P 3.1.*. You must now restart device services to reload the certificate cache. OK, UIM/P is installed and configured. Please proceed to HOW TO: Add/Discover Vblock in EMC UIM/P post. there doesn’t seem to be any SAML assertions going through. Any insight would be appreciated. Where did you find this script? What version are you using? I’ve checked 4.0 and 4.1 and it’s not there. I’m not sure what it does. I found it in the /opt/ionix-uim/tools directory. I am using 9.2.2a NCM. According to the documentation it’s supposed to enable SAML authentication and create a ‘samlsysadmin’ user. I ran the script according to the directions but i dont think anything changed besides it saying: Created ‘samlsysadmin’ user. Sorry, it is in 4.0 and it’s discontinued from 4.1. I was used to create SAML admin account and and set the SAML enabled property to true. And what is the issue? What are you trying to accomplish? I was trying to set up SAML authentication on the NCM. I happened to find the user in the system administration, but I’m still having trouble authenticating the account. The script worked, but there seems to be some other internal problems going on. I keep getting “2014-07-14 13:47:42,267 ERROR [SAML] Login token not found in active login token cache for user – samlsysadmin” in my saml.log file when I try to login using that user. I’ll try to figure it out, thanks though. Similar issue to this one: http://www.vstrong.info/2012/11/21/emc-uimp-upgrade-failed/ ?